Happy Wednesday friends! I hope your week is going well. I can't believe Easter is so soon! I just finished putting together the boys' Easter baskets and am thinking I will do a post with what I got them. Also, I'm excited to share that we FINALLLLYYY finished our kitchen updates, so I am working on the post and hope to have it up soon with pictures! Did you see that for the first time ever Anthropologie is selling home items outside of their stores and is available to buy at Nordstrom?! 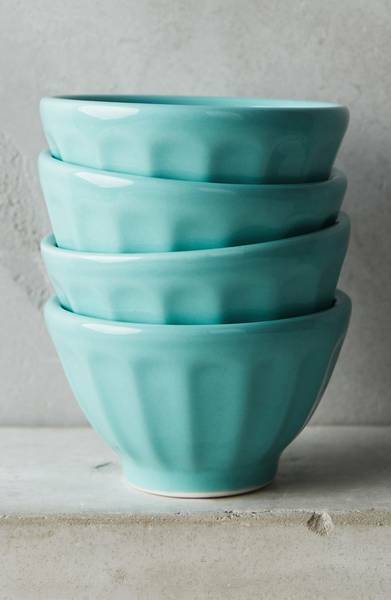 I love Anthro - especially their bowls (I have had these for years), cups, kitchen odds and ends, and vases! 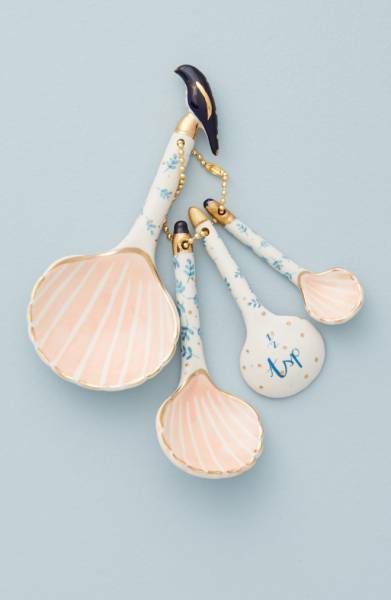 the cutest measuring spoon set! 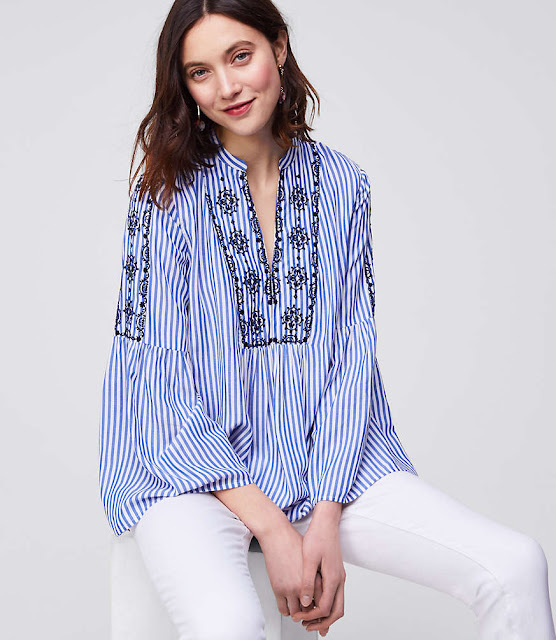 This tunic/blouse I just ordered! It's currently 30% off. Will be super cute with white jeans or jean shorts! I'm still on a romper/jumpsuit kick obviously. This one is perfect! 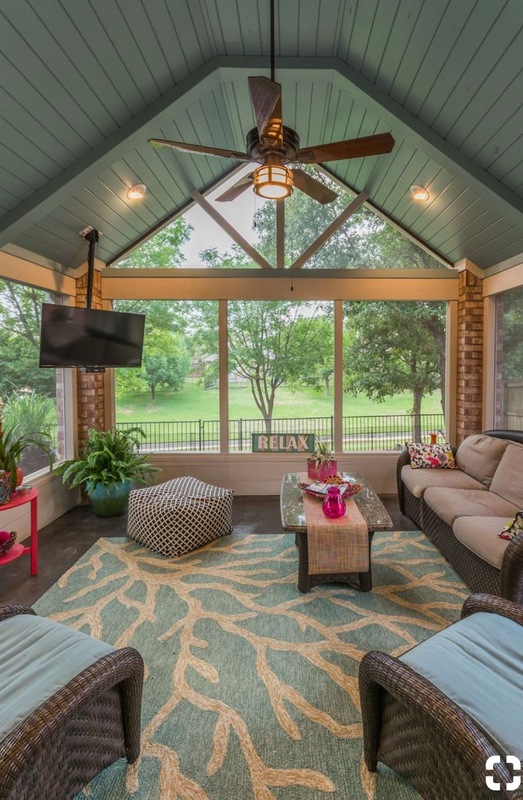 Inspiration for our screened in porch, which is the next house project on our list! We plan to tackle adding planks to the ceiling, buying a new fan (just bought new ones for inside), and possibly get new flooring. We will probably go with a dark stain for the ceiling planks, but I am kind of loving this pretty pop of color! Would I get tired of this? Thoughts? Amen on the sick husband. Man flu is the worst thing ever in our house too. Cannot wait to see what you do with the porch. Do the pop of color!!!! Interesting fun fact-carpenter bees will not bore into blue painted ceilings. We have beautiful dark wood on our porch ceiling and we are constantly chasing away carpenter bees. The bug guy told us about the blue ceiling tip. Go for the color! There's not as many rooms to do that in!